Front row: Prof. Patrick Moyna, Dr. John Malin, Prof. Fedor Kuznetsov, Prof. Erwin Buncel. Second row: Dr. Parry Norling, Dr. Min Che Chon, Prof. Raymond Hamelin. 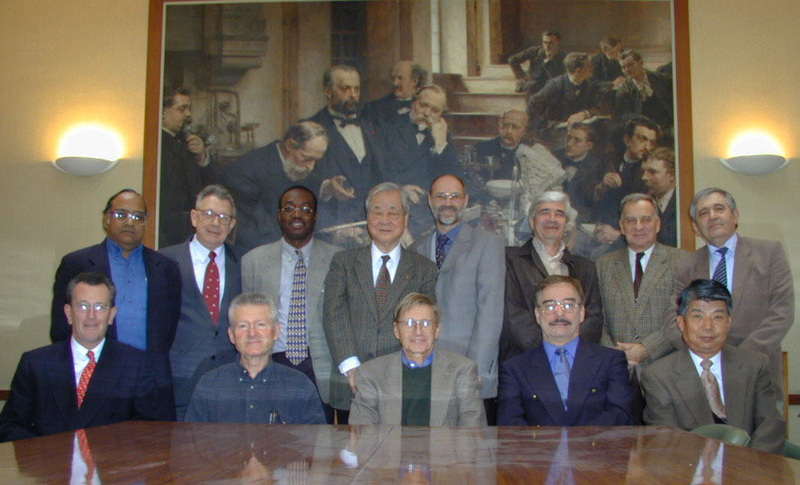 Back row: Dr. Alan Smith, Dr. Pierre Potier (President of the Maison de la Chimie, Paris), Dr. Jerzy Kopytowski, Prof. Ikenna Onyido, and Dr. Swaminathan Sivaram. 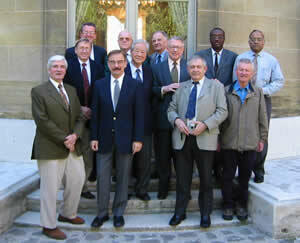 Front row, left to right: Dr. Alan Smith, Prof. Erwin Buncel, Dr. Parry Norling, Dr. John Malin, Dr. Makoto Imanari. 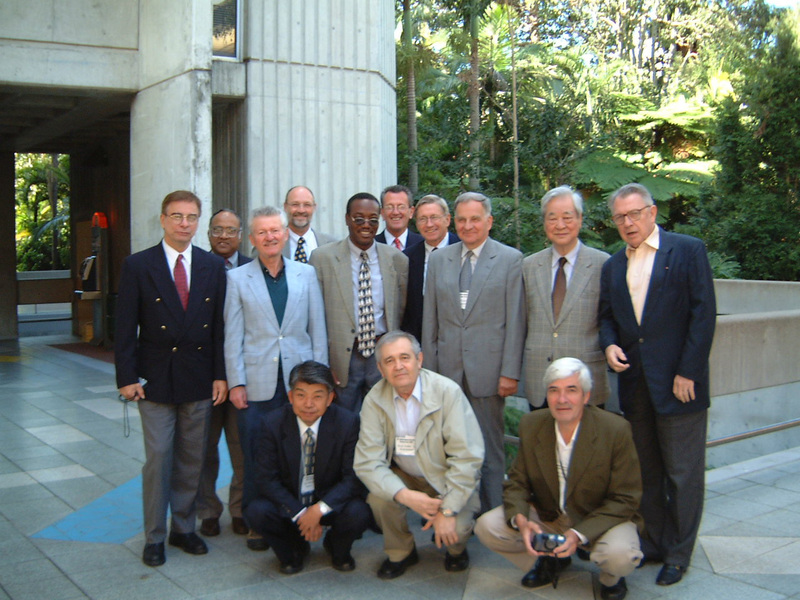 Back row, left to right: Dr. S. Sivaram, Prof. Raymond Hamelin, Prof. Ikenna Onyido, Dr. Min Che Chon, Prof. Michael Droescher, Prof. Patrick Moyna, Prof Jerzy Kopytowski, Prof. Fedor Kopytowski.